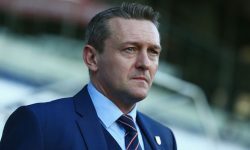 Jakub Dovalil’s Czech Republic U21 side are likely to be brought back down to earth when they face Switzerland in the semi-final of the European Championship later this week. The Czechs were 1-0 down to England with under ten minutes to go in the final game of the group stage, thus facing a premature exit from the competition. However, two goals in quick succession turned the tie on its head and saw the Little Lions progress through to the knockout stages. Up next though for Dovalil’s side is a Switzerland team with a 100 per cent record and a defence that has yet to be breached. The Swiss have won all three of their games and have improved on each occasion. A shock 1-0 win over tournament hosts Denmark was followed by a 2-0 victory over Iceland and a 3-0 demolition of Belarus. 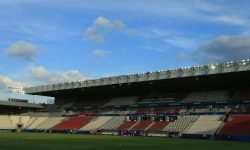 As such, Pierluigi Tami’s side are priced at football betting odds of evens to win the match and progress to the final, where they are likely to meet an equally impressive Spanish side. Odds of 23/10 are available for the draw, while the Czechs are priced at 9/4 to pull off another upset. With the returns on a win for either side looking fairly short, some football betting enthusiasts could be tempted to look at past encounters between the sides and back a duplicate result with their free £25 bet from bwin. Last time out, Switzerland edged a 3-2 victory and backing the same result at 28/1 would see punters walk away with a cool £725. However, another recent encounter saw the Czechs emerge as 2-1 winners and the same scoreline can be backed at 21/1 this time around. Bwin has made a host of other betting odds available for the game and with Switzerland hitting an average of two goals per game, some punters could be tempted to place a wager on them scoring exactly two in this tie at 13/5. Odds of 12/5 are also available on Switzerland winning the game to nil and maintaining their 100 per cent clean sheet record. From an attacking perspective, Admir Mehmedi looks to be Switerland’s biggest goal threat. The FC Zurich forward has hit two in two and is priced at 5/1 to open the scoring at the Herning Stadion. Fabian Frei has also produced a goal from midfield and is a 10/1 shot to break the deadlock. Conversely, if Switzerland’s defence is to be breached, then Boreck Dockal, who sits second in the tournament’s scoring charts, is the likely danger man. The former Slavia Prague man offers football betting odds of 10/1 to get the game up and running while team-mate Tomas Pekhart, who scored the Czech Republic’s winner against England, is priced at 7/1 to achieve the same feat.